Home » Dropbox Hacked, Is HR Data Secure in the Cloud HRIS? » Blog » Dropbox Hacked, Is HR Data Secure in the Cloud HRIS? Recently, a headline highlighted the hacking of more than 68 million Dropbox passwords. This has brought a lot of scrutiny to the security of the cloud-based data storage. The company, Dropbox, has revealed that user IDs and passwords of 68 million users were stolen in a 2012 data breach that took place 4 years ago. And lately the hackers have leaked those account details on the internet. After confirming this data breach news, Dropbox has sent notifications to all its users (who are affected) to change their passwords, if they haven’t done it since mid-2012. The password reset ensures that even if the user passwords are leaked, hackers cannot use them to access Dropbox accounts. Furthermore, Dropbox has suggested users, not to use the same passwords for any other accounts and change them to maintain security of other accounts. To avoid information security risks, the company is now planning to upgrade its encryption technique from the SHA1 standard to a highly-secure standard called bcrypt. The most important concern highlighted by Dropbox hack is – the need to maintain highest security standards at the users end and the companies storing their data. The users need to be more cautious about strong passwords, two-step authentication and should avoid reuse of old passwords. At the same time, the cloud storage companies storing user data should practice advanced encryption techniques. 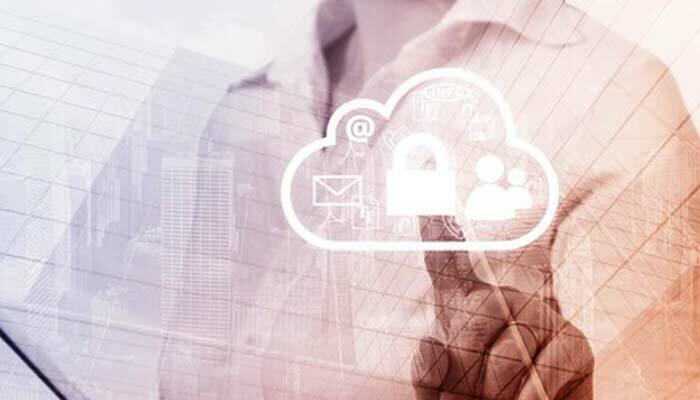 With countless speculations about cloud storage, many HR teams using cloud HR technology have become concerned about new risks for company information security. Should you be worried about your HR Data security in the cloud? The truth is that, cloud HR platforms are highly secure, and the number of businesses storing their HR data on cloud has increased rapidly in recent years. According to Gartner report, “Investment on cloud-based HR system is growing faster than spending on installed or on-premises HR software, and cloud-based HR software will be 50% or more of total HR technology spending by 2017.” Cloud-based HR solutions enable small and large organizations to save thousands of dollars while accessing expensive technologies and paying only for the service they use. Online HR data storage keeps organizations away from IT maintenance burdens and end up allowing anytime anywhere access to HR data. Web-based HR software offers additional level of external security and support which is not found in traditional HR systems. Many cloud HRIS providers invest in web servers with the highest standards of encryption technology. How to Ensure Security of Your HR Data in the Cloud-based HR Solutions? When HR leaders think of sensitive HR data on the cloud, ‘Privacy’ is the most pertinent question that comes to their mind. Data breach has become a most compelling fraud today, and HR departments are the soft targets for these hackers. Usually, employees and companies trust HR professionals to safeguard their sensitive data. Therefore, it is important for HR leaders to look for a trusted vendor when deploying a new HRIS solution for business. When you come across a new cloud HR software, make sure you take time to prepare your checklist and understand whether the product meets all your requirements. To ensure this, you need to take a no-risk free trial of the product that would help you go a long way! ……. Is Your HR Data in Safe Hands?